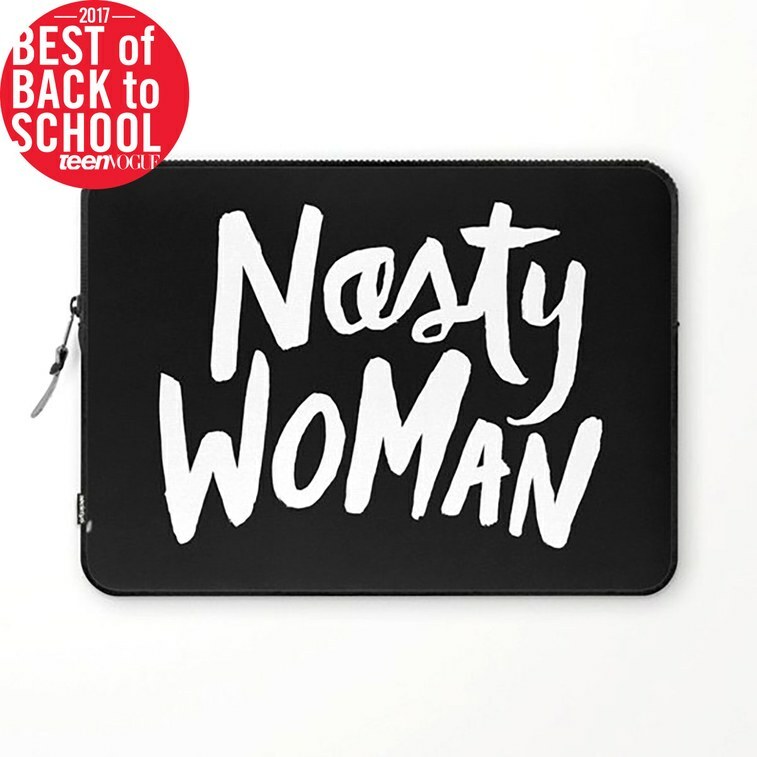 Society6 Laptop Sleeves: Teen Vogue Approved! We couldn’t be more stoked for our laptop sleeves to be included in Teen Vogue’s Best Of Back To School Awards 2017. We’ve long been fans of our laptop cases, but now, with Teen Vogue’s seal of approval, you too can share in the love! Teen Vogue named our cases the “Best Value Laptop Sleeve” and we agree. With millions of design options and premium protection for under $40, you’ll be safely (and stylishly!) surfing the net in no time. Anna Dorfman’s Nasty Woman design. And although school might be the last thing on your mind (goodbye class, hello summer!) we’re gearing up to get you geared up for your next academic endeavor. Here’s a collection of some of our favorite laptop sleeves to get you started on styling all of your picks for the next school year.